Start every meeting with the question, “what’s our intention for this meeting?” Ensure that you’re giving space and a voice to everyone in the room and at the same time aligning everyone behind a common goal. In my last role at BlackBerry we put this into practice. If you went into a meeting and other people from the same team were there, all but one person left. We asked the question on “purpose/objective” when the meeting was set and tried to drive efficiency that allows us to end meetings early, instead of running over. 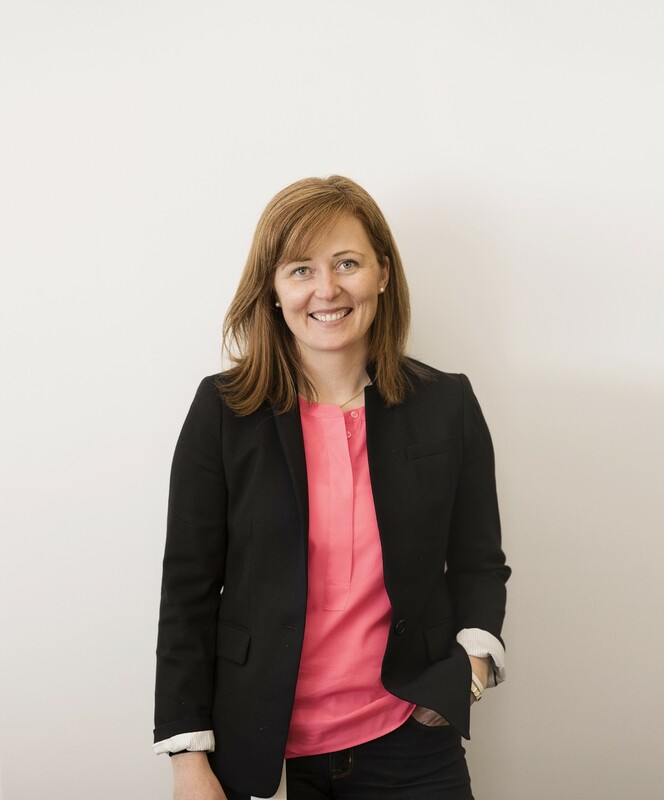 As a part of my series about about how leaders can create a “fantastic work culture”, I had the pleasure of interviewing Lindsay Gibson, a seasoned operations executive with 15 years of experience in the wireless industry. Prior to Textnow, she helped build Blackberry’s supply chain, as Vice President, managing 35+outsourced repair factories, 600+ walk-in service centres, and a global staff. At Textnow, she applies her experience to managing a fast-growing startup with over 150 million users and offices in Waterloo, Canada and San Francisco. Lindsay is a mentor at heart and truly gets a lift from seeing others succeed. She volunteers as a mentor with Women in Leadership. When she’s not solving tough problems at Textnow, she’s skiing, reading, and spending time with her family. I’m the chief operating officer of a fast-growing technology company with 150 million users. I’m extremely proud of this and the sweat equity it’s taken to get to this point. That said, the role of COO wasn’t originally my goal. I’ve gotten here by by seizing opportunities as they arise. I started my career in marketing and communications, and developed a passion for getting things done and driving real business results. In my job as COO of Textnow I now find myself in my “sweet spot,” that perfect intersection of talent, skill, interests, and knowledge. Prior to joining TextNow, I spent 16 years at BlackBerry. It may have been one company, but I had opportunities to contribute to and learn from different different parts of the company over the years. It was at BlackBerry where I became a leader for the first time. They invested in me as a leader through formal leadership courses and coaching. While that culture focused on excellence and achievement, it didn’t always set me up for work/life balance. I’ve spent the last couple of years at a growing startup, working with a new, younger generation of the workforce. They’ve really helped me put into perspective the lessons I’ve learned over the years. Now I’m learning from a workforce who work hard while at the office, but also push for work-life balance and collectively do not believe that more hours are necessarily better for achievement. It has been eye opening to say the least. I’m hopeful that this generation will fix the work-life balance problem for my daughter. At Textnow, a big focus for us is making wireless truly accessible for anyone, no matter their budget. A phone number has become as important as a social security number in navigating modern world — you can’t get a job, for example, without a way people can contact you. With our current app, you can get a phone number, send and receive texts, and make phone calls for free with a wifi connection. We have affordable wireless plans starting at just $9.99 to talk and text — but we want to know, what’s next? We’re working now on how to make true wireless access free for anyone. We think this could be very powerful for so many people. People really need to feel engaged and excited by their work, to feel connected to a bigger sense of purpose and goal. We are proud of our employees’ level of engagement and the culture of accountability we’ve cultivated. In a recent engagement survey, 90 percent of our employees said they feel accountable for performing at a high level. We do a lot to drive that, starting with hiring with purpose. For example, we have clearly-articulated values that drive everything that we do. We look for employees who are impassioned by our companies purpose. Studies show, again and again, that employee satisfaction leads to more profitable companies. They show that job stress is related to personal health. I don’t think anyone is questioning that a happy and productive workplace is an important goal. That’s part of the reason we’ve made it such a priority at TextNow. Start at home: clearly articulate your company’s culture — and make sure to involve people from across the company in the process. In our case, we held focus groups, online surveys, and in-person workshops to ensure that we were creating the truest possible reflection of our employees when defining our Core Values. It is also incredibly important to realize that culture is not a project that you start and end, it is continuous and evolving. When it isn’t working or needs some small tweaks it is important to jump on that quickly, otherwise employees feel it and it can drag the company down. Hire the right people, and then make sure they succeed. I think companies can forget that creating culture is a part of the whole lifecycle of the employee. That means being thoughtful in the hiring process. But it does not end there. You have to have a thorough and smart onboarding, regular goal-setting and review cycles, and set out a path for success along the way. At TextNow we do Manager Assimilation training with new leaders and it works really well to set them up for success. Don’t be afraid to make a tough decision if someone isn’t a fit. You never want to have to be in the position of letting someone go. But not every hiring decision is the right one. Make the hard decisions and not only will your company be better for it, but that person is free to find the right job for them. In my experience, if you as the leader feels it isn’t working, the employee is feeling it too. Being open and talking about issues early on is critical. Share your lessons learned; embrace mistakes. We share with each other our stumbles and what we’ve learned from them — that’s the only way to grow. I believe that it isn’t making mistakes that is important, it is how we respond to them. When I think back on my career I remember those mistakes and can tell you they were pivotal to growth in my career. Employees have changed and the work environment has to respond and catch up. Companies who can tap into the personal values of employees, provide a connection to the work and also give them the space outside of work will win. For many, work is no longer about collecting a paycheck. Depending on what field you are in, there are a lot of options for employment. It is up to companies to make culture the top priority because if they do that, all the other results will follow. I trust first until you give me a reason not to. I grew in my career by having leaders who pushed me outside of my comfort zone and were there to help but not to do it for me. I like to believe I am offering the same type of leadership to my team. I also truly believe we are a “team” and that every part and level of the organization has value. A company is a sum of all its parts. That said, I also know I am direct and have high expectations. I like to see us get things done well and on time. This is done through planning, ensuring everyone on the team knows what they are accountable for and checking in regularly. I have been lucky in my life to have a supportive family and friends. I don’t talk about work a lot outside of work, only when there is something really stressing me out or there is a problem I just can’t figure out how to solve. My mom is always there to listen and I always feel better getting stuff off my chest. I also have five amazing lifelong girlfriends who work across diverse industries. They are great to vent to and to offer ideas. As a company I believe we are bringing something really important to the table, we are making communications accessible to everyone and in many cases this means people who otherwise could not afford it. “You never know what someone is going through, be kind.” I truly believe this. We all have our highs and lows in life and it is important to respect what people are going through and be supportive. As a leader over the years I have had many employees going through things that only I knew about. Giving them an ear and supporting them through it has always been the right thing to do. I am all about lunches for children. I believe that packing a child’s lunch is an opportunity to show that child they are loved and can be a light in their day.